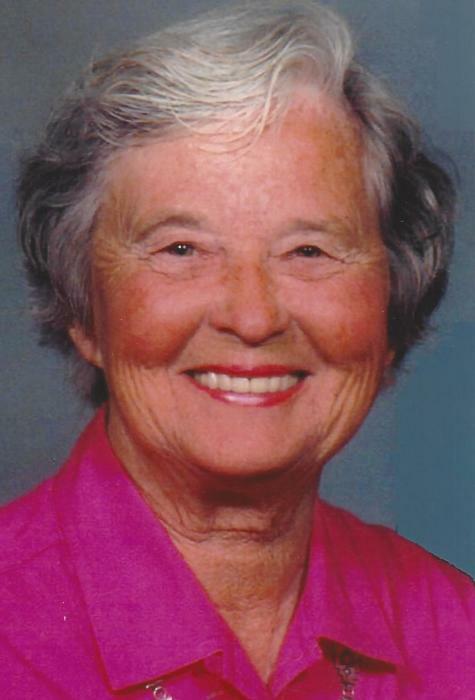 Shirley Marie Duval, 94 years of age, passed away Friday January 25, 2019. She was born in Detroit, Michigan on October 28, 1924, the daughter of the late Raymond H. and Maybelle (Groemere) Koebel. She moved to the suburb of Grosse Pointe at age 8, and spent summers with her grandparents in Algonac on the St. Clair River. Her father was a surgeon and her mother was a housewife and bookkeeper. She graduated from the University of Michigan in 1946 with a degree in Geography, majoring in cartography. She later earned a Bachelor's and a Master's Degree in Education from Kent State University, and taught kindergarten at the Aurora Schools for 30 years, beginning in the basement of the Catholic Church, then Craddock, and finally in the Miller school, retiring in 1996. On November 30, 1946, she married her beloved husband Leonard Duval and enjoyed 62 years of marriage until his passing on September 21, 2008. During her lifetime she travelled to Canada, China, Japan, Taiwan, New Zealand and Tahiti. She also travelled the First National Highway (Route 40) in 1936 crossing the desert at night, and rode down the Grand Canyon on a mule. She is survived by her devoted children Colleen (Joe) Pollard of Clermont, Florida, Lenny Duval of Ravenna, Ray (Denise) Duval of Solon, and Patrick Duval of Denver, Colorado, as well as many loving grandchildren and great grand-children. Shirley was the last female founding member of Our Lady of Perpetual Help Catholic Church in Aurora. She was a member of the Aurora Book Club, and of the American Legion Auxiliary of Aurora, Unit # 803. She loved gardening, as well as all cats and dogs. Calling hours will be Wednesday January 30, 2019 at the Green Family Funeral Home & Crematory Service, 4668 Pioneer Trail at the corner of St. Rt. 44, Mantua, Ohio 44255 from 5:00 P.M.-7:00 P.M., where Legion Services will be held at 6:45 P.M. Mass of Christian Burial will be Thursday January 31, 2019, 10:00 A.M. at Our Lady of Perpetual Help Catholic Church, 342 South Chillicothe Road, Aurora, Ohio 44202. (EVERYONE PLEASE MEET AT THE CHURCH). Final resting place will follow at Aurora City Cemetery.